You’ve probably been on hold more than once in your life, and you know what an irritating experience it can be. So many businesses lose potential customers through ineffective and annoying on-hold experiences. It’s surprisingly easy to avoid something like this happening to your business. All you have to do is perfect your on hold message: something we’re more than happy to help with. The voice of your business should reflect your company ethos and image. Whether white-collar and corporate, youthful and in-touch, or mature and authoritative, your phone message should be representative of your business’ personality. Being on hold can be a pain indeed, especailly if you get stuck hearing a voice that just grinds your gears. Your callers will be a lot more likely to stay on the line if your on hold message is delivered by a voice they feel comfortable with. It’s hard to acknowledge that your caller’s time is valuable without being patronising and insincere. Let your callers know that you understand them by choosing a voice that you feel is going to give your audience this impression. Keeping the same talent when it comes time to update your message will also help promote consistency and trust in your company. That old familiar voice coming back time and again, reassures that you’re here for the long term. 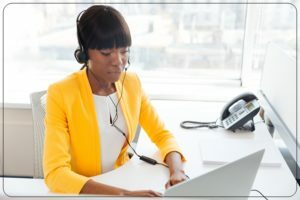 The cost of on hold voice talent can vary depending on the volume and the type of recording: for instance, IVR menu prompts cost $20 per line. These rates are for cold voicing only (no production). To see our full rate card, go to our PRICES page. WANT TO HEAR SOME DEMOS? To hear some of our talent demos now, go to our VOICES page. If you’ve browsed our talent bank and decided on the voice you want for your phone system, you can order it now on our PLACE AN ORDER page. If you haven’t made up your mind yet, we’ll be happy to choose a voice for you, or we can arrange some auditions for you in our Marketplace. If you’re not sure exactly what it is your on hold message will need, you want more information or some expert advice, or you just have some questions you need answered about the process, you’re welcome to email us any time at studio@thevoicemarket.com.au. A simple on hold message might not seem like a big deal, but it can have a surprising effect on your business. You can count on us to help you with the perfect message to fill that niche!